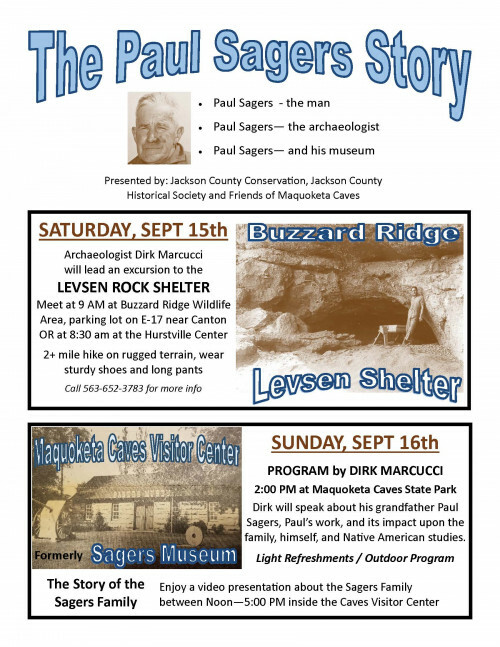 Dirk Marcucci will present about Paul Sagers, his grandfather; Paul’s work, and its impact upon the family, himself, and Native American studies not only for our area but the entire Mid-West at 2:00 pm. Story of the Sagers Family: Enjoy a video presentation inside the visitor center (formerly the Paul Sagers Museum!) from that will be running from Noon - 5:00 pm.